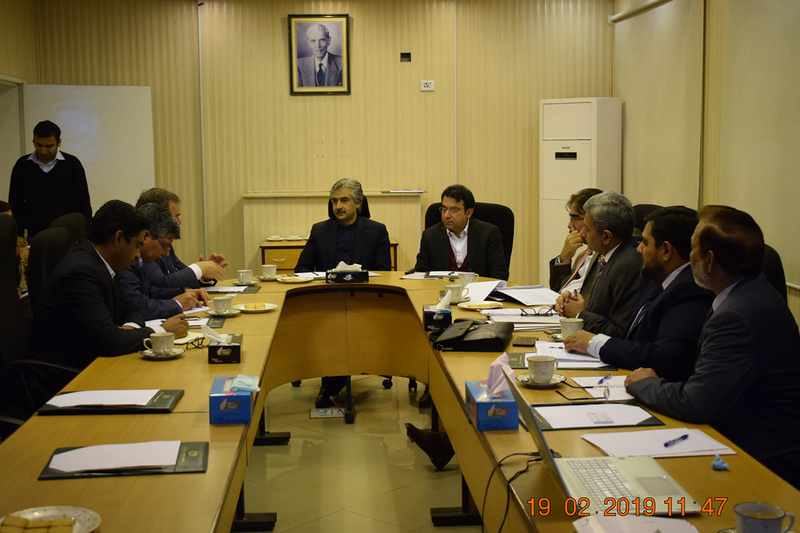 Joint meeting with Mian Muhammad Aslam Iqbal, Minister for IC&ID, Mr. Nadeem-ur-Rehman, Secretary for IC&ID, Mr. Riaz Hameed Chaudry, Managing Director of PSIC and Mr. Fazal ur Rehman, Project Director of CDI along with CDI Auto Parts Cluster team and UNIDO Int't and Local Experts to discuss the way forward regarding the implementation of the APSC project. Copyright © 2017 CDI. All Rights Reserved.